When the Goodyear Blimp was spotted flying over Shadow Creek at the Tiger Woods vs. Phil Mickelson golf match, little did Las Vegans realize they were casting eyes on the newest member of the College Football Hall of Fame. 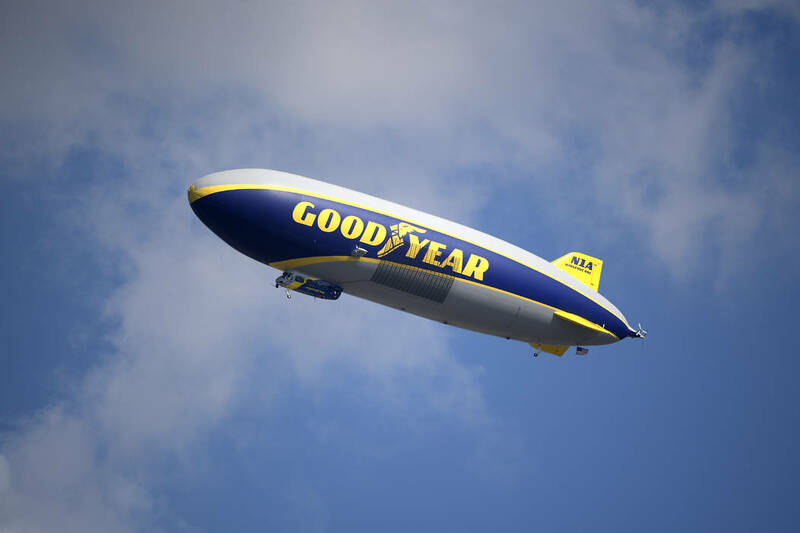 When the Goodyear blimp was spotted flying over Shadow Creek at the recent Tiger Woods vs. Phil Mickelson golf match, little did most realize it would be the highlight of the day. Nor did most realize they were casting eyes on the broad side of the newest member of the College Football Hall of Fame. 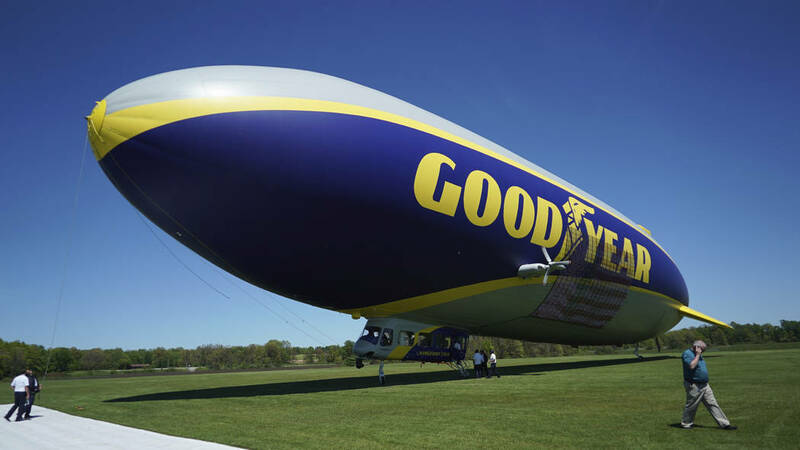 A day after the announcement at the College Football Playoff championship game, longtime Las Vegan and 2003 Hall of Fame inductee Napoleon McCallum didn’t know he was being joined by a blimp on the radar. “No … I did not … wow … oh my gosh,” the former Navy great said upon being notified. “Man, I’m just stumped. I really don’t have a reaction. It doesn’t correlate, except maybe that it’s shaped like a football. Yes, it did seem like a bit of a joke at first. Did the blimp fly over the Army-Navy game when McCallum was amassing all those all-purpose yards? 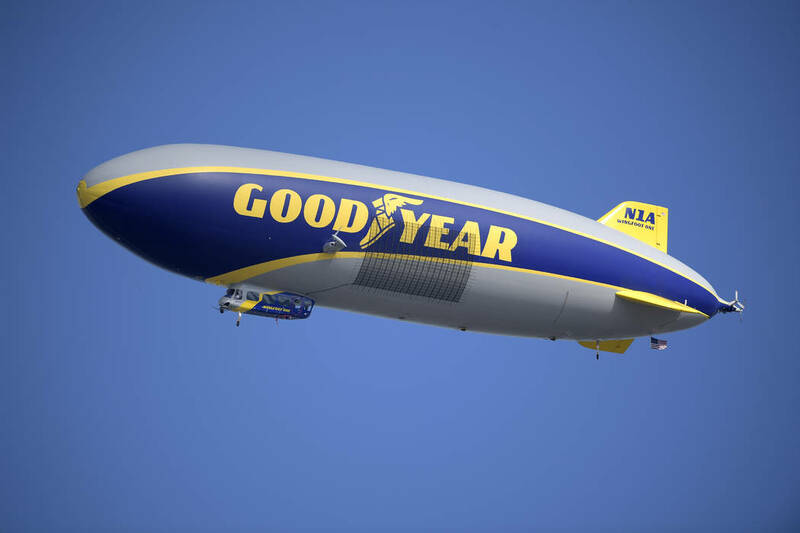 Upon further review, it was agreed that the Goodyear Blimp being admitted into the College Football Hall of Fame was literally a bunch of hot air. If you thought local sports books absorbed a beating as a result of college football’s national championship game, you probably weren’t reading the reviews of Imagine Dragons’ halftime performance. The modern pop-rock band is based in Las Vegas, and I am probably not one to critique its performance given I still listen to Three Dog Night records on vinyl. But major media outlets seem repulsed by the effort that included a guest singer dressed as the McDonald’s Hamburglar (I’m told this was the rapper Lil Wayne). Those on social media also showed no mercy. One wrote of three things that should never again be included at a national championship game: the Bay Area, Imagine Dragons, Alabama. But I also was told Imagine Dragons do not trash hotel rooms and do a lot of good work for social and charitable causes, and that lead singer Dan Reynolds might have been suffering from bronchitis. I also would add this: Halftime performances, like college football national championship games, cannot always be great. Or did you not see that fake field-goal attempt by Alabama? Former NBA No. 1 draft pick bust Anthony Bennett of UNLV is finally busting out, albeit in the G-League. Bennett is averaging 13.1 points in 21 minutes per game for the Agua Caliente Clippers and is sinking field goals (.557) and 3-pointers (.446) with accuracy. In a recent game against the Northern Arizona Suns, Bennett scored 25 points, hit five 3-pointers and pulled down nine rebounds. It was nice to see him smile on the videotape. Anthony Bennett is averaging 24-9-2 per 36 on 58-47-82 (75% TS) in the G-League this season. It was nine years ago I wrote about a local baseball hitting instructor named Buck Thomas, who would open the doors of the Bat-R-Up batting cages in North Las Vegas late at night so Shane Victorino, then with the Phillies, and local kids could stay sharp and work on their swings. Pitchers also were welcome. On the day I was there, a kid from Sierra Vista High named Nick Kingham topped 90 mph on a radar gun. Kingham now pitches for the Pittsburgh Pirates. Buck Thomas, on the other hand, has been arrested in Arizona after being accused of sexual assault on minors he was coaching. Anyone with further information is asked to contact the Maricopa County sheriff’s office by calling 602-876-1011. So while beating New Mexico on the road was a nice win for the current group of Rebels, there’s still a long way to go before they become the answer to a “Jeopardy” question. — Dimensions: Length, 192 feet; height, 59.5 feet; width, 50 feet. — Passengers: Generally limited to corporate guests of the tire company and media. 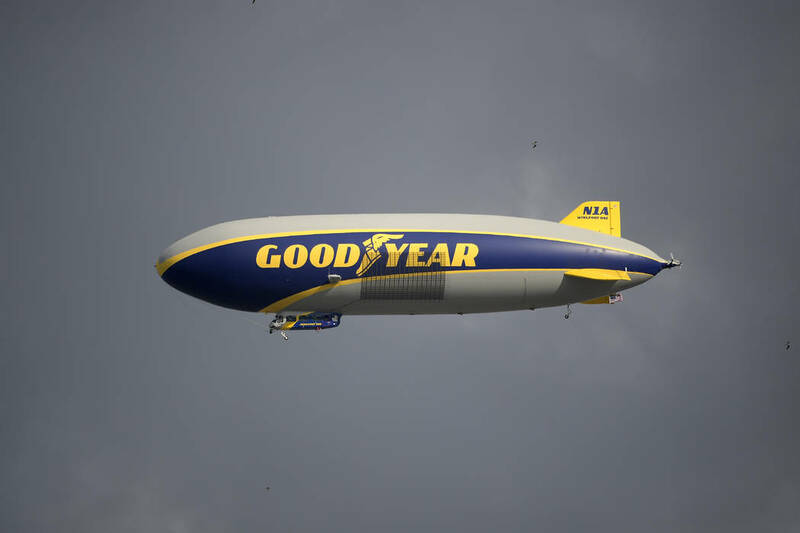 When Goodyear was the tire supplier at the Indianapolis 500, the pole position winner would get a ride in the blimp in the days before the race. 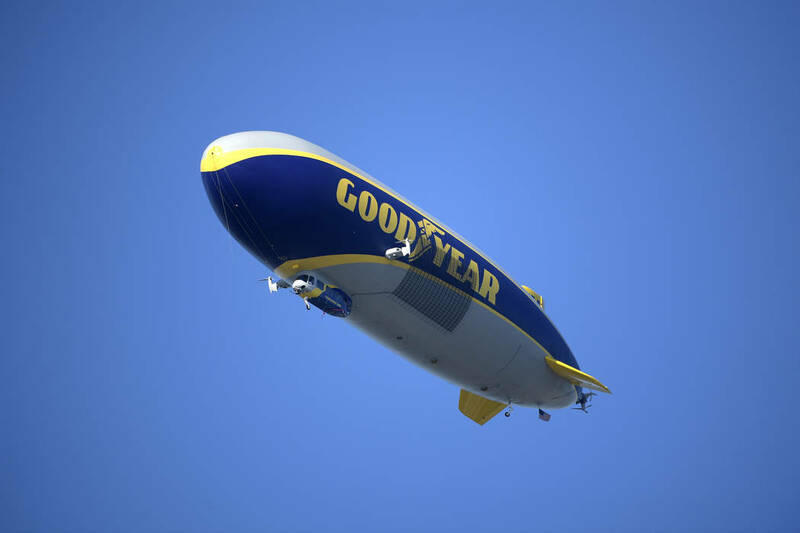 — Did you know: In 1990, the Goodyear Blimp Columbia was buzzed and crashed into by a radio-controlled model airplane whose pilot was arrested after the model plane tore a 3-foot hole in the blimp.